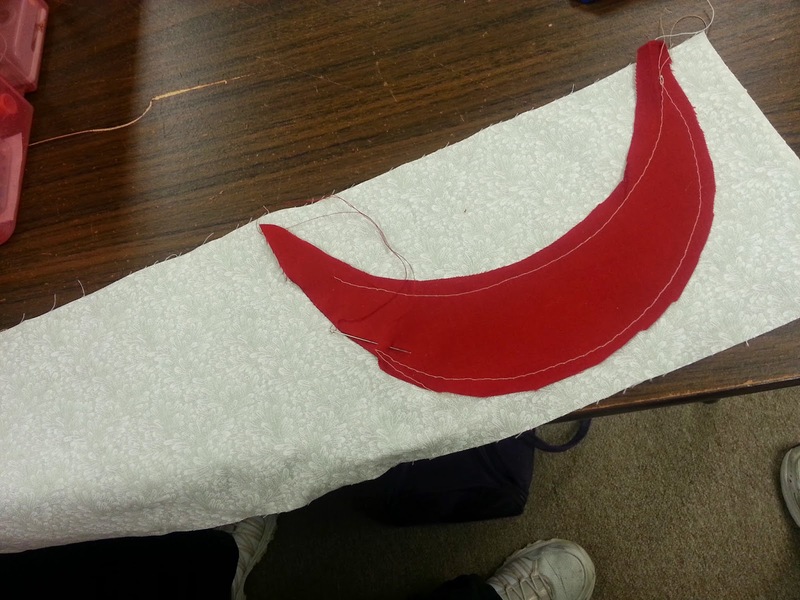 One of the things I love most about spending so much time in a quilt shop, is I get to see what people are working on. 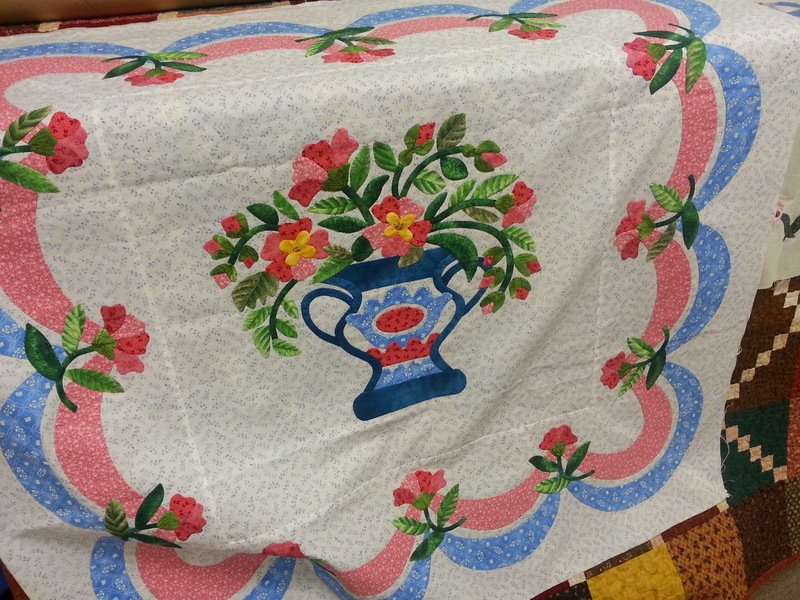 It never ceases to amaze me the vast variety of quilts and styles that are being created. On any given day in the shop, we are treated to a show of so many different quilts. 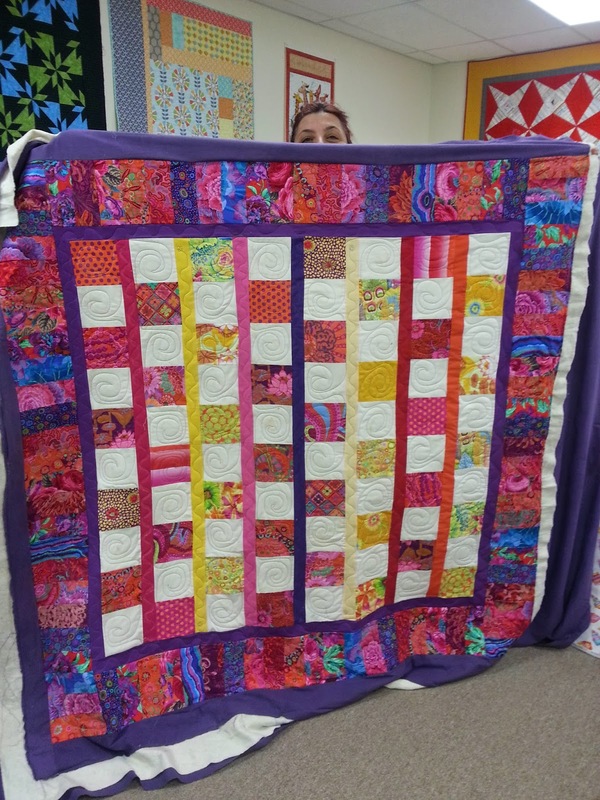 Just this Saturday this vibrant beauty was quilted up by one of our Renters, Caroline. At the same time, one of our monthly classes was taking place in the classroom. 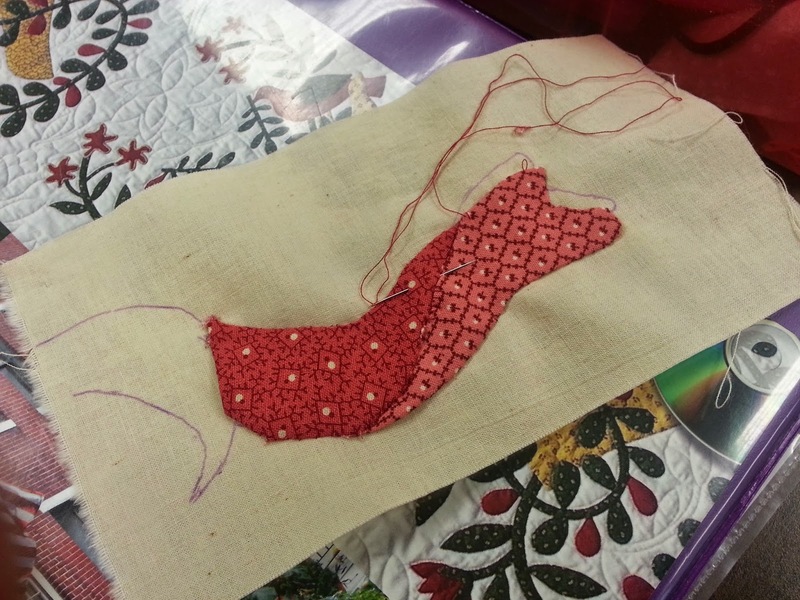 This one, taught by Barbara Burnham meets once a month for a year as students continue on learning the art of hand applique and work on blocks for their Baltimore Garden Quilts. 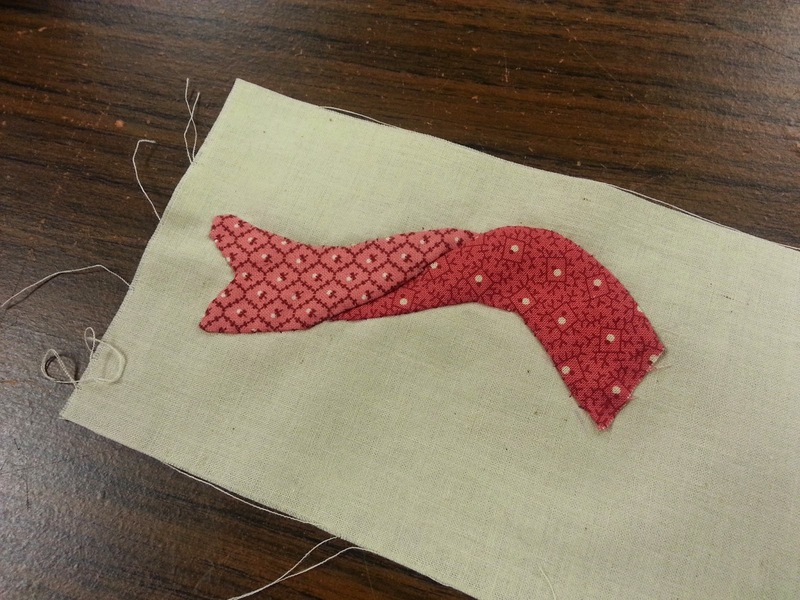 This month among other things they were learning how to hand applique "twisted ribbons". That day was just an example of the various styles we are honored to see on a regular basis. 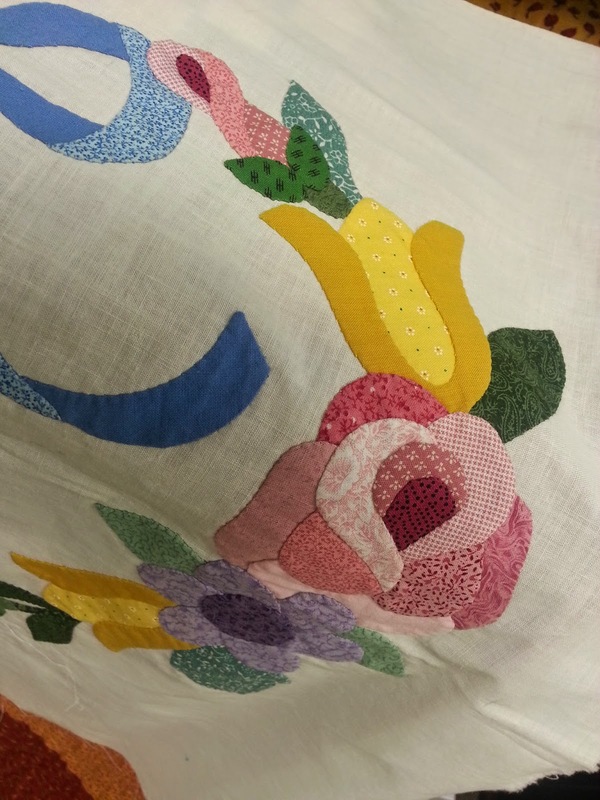 From very bright and pieced, to soft, lovely traditional applique.